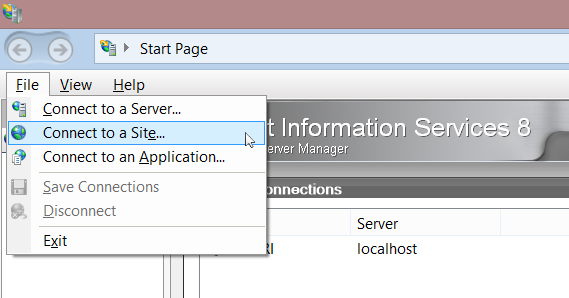 On Windows Server – Make sure you have installed IIS Management Console. 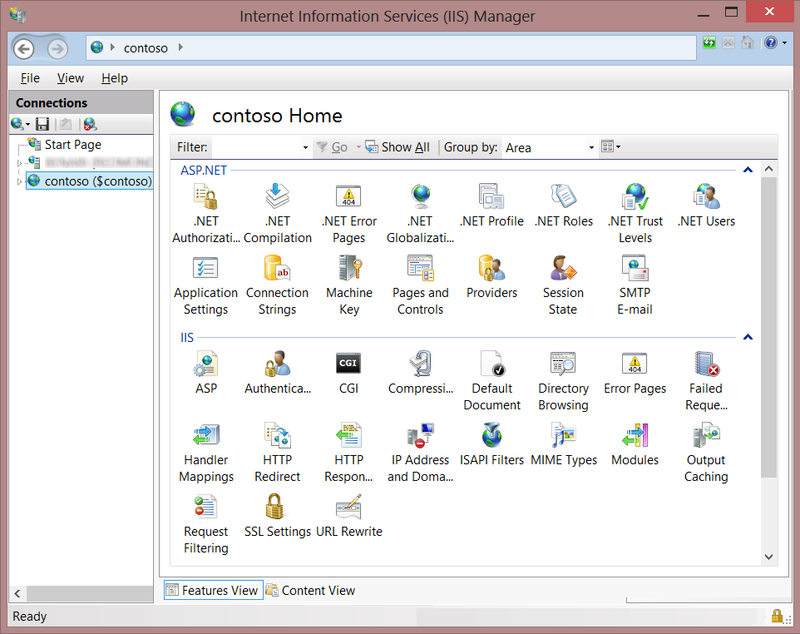 Refer to step 6 in http://www.iis.net/learn/install/installing-iis-7/installing-iis-on-windows-vista-and-windows-7 - “IIS Management Console” is the required feature. 3. Enter your publishing credentials. 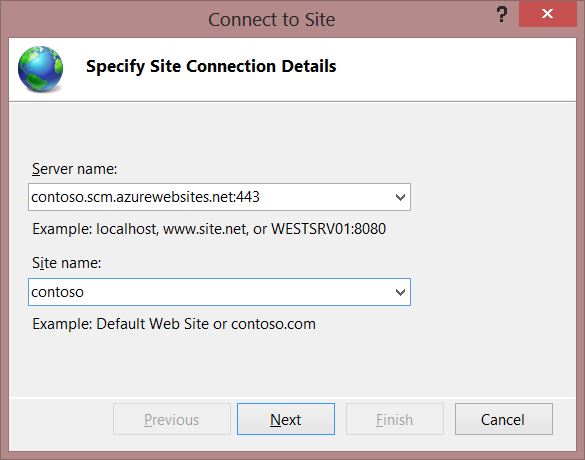 If you haven’t changed the system-generated password that Windows Azure created for you, then you could either reset them, or download them from the portal – see below for more information about that. 5. 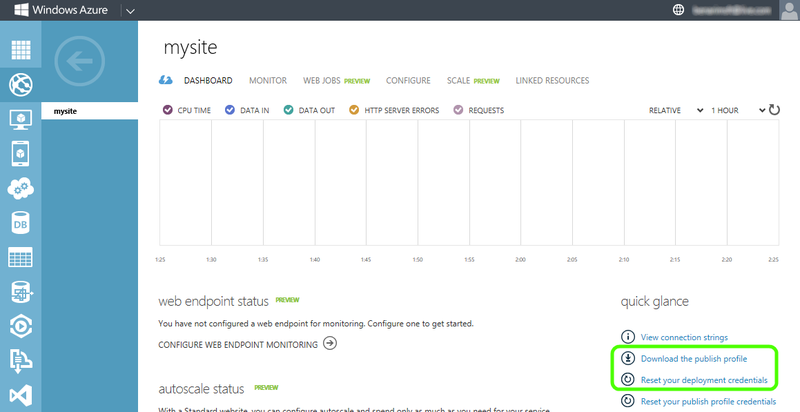 After you click Finish, IIS Manager will show you the familiar group of site-level configuration icons and options, and you can start administering your site! 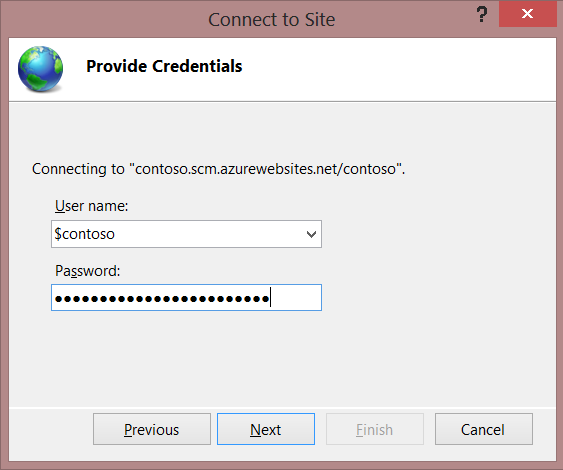 When you create a website in Windows Azure Web Sites, Azure automatically generates deployment credentials. 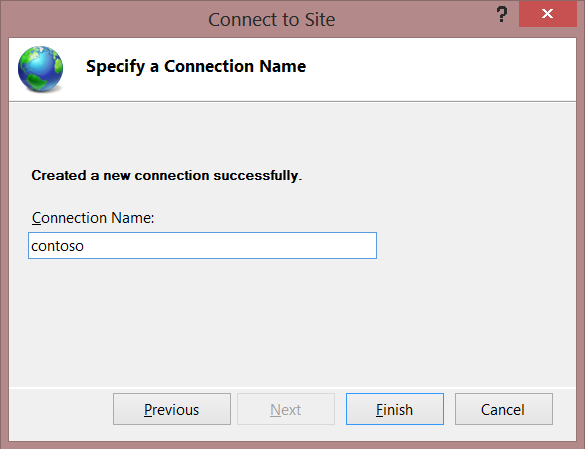 The username is the site name, prepended by a dollar sign (for example, $contoso) and the password is a complex and long alphanumeric string. 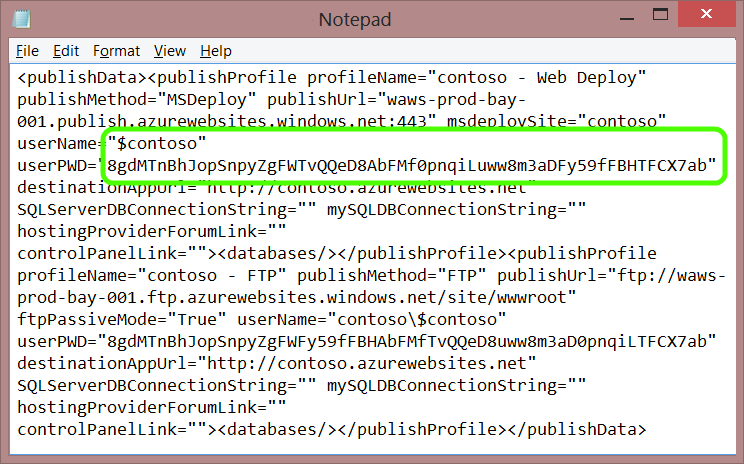 You can click Reset your deployment credentials on your site’s Dashboard to set your own password, or click Download the publish profile to download an XML file that contains the password that was generated for you.